Our own patented design, this innovative product is designed to eliminate labour intensive costs i.e. aluminium, welding and powder coating. Slatmasta® is available in the full Colorbond® range and is ideal to suit most council ventilation requirements. 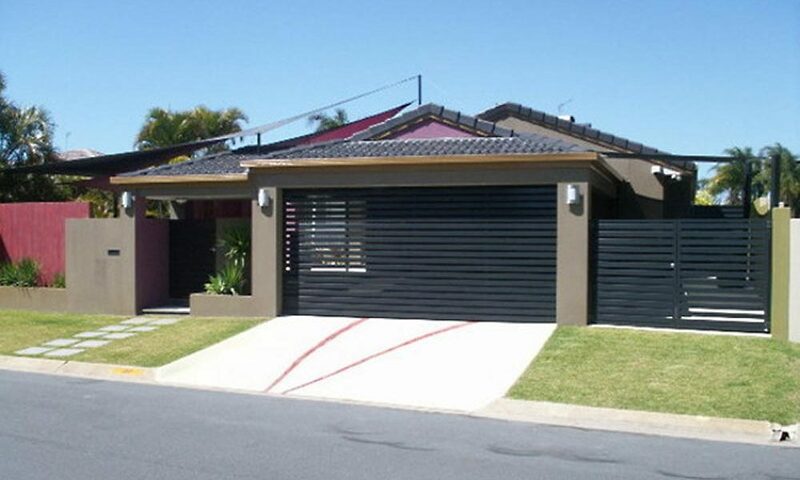 Slatmasta is Colorbond® steel, which is folded in to box section slats to eliminate sharp edges. It can be manufactured with approximately 80mm slats with a gap of your choice. (Varies to door height) to form an evenly distributed slat throughout the door. The door is of the overhead sectional door type but when closed it forms the appearance of one panel. The vertical styles can be of a contrasting colour to the horizontal slats. Available in door sizes: 1485mm – 3050mm high & 1550mm – 6000mm wide. Slatmasta 80mm Slat with 40mm, 30mm and 20mm gap (APPROX varies to door height). Powder coating the tracks and hardware (where possible).